The Boston Public Garden was the first botanical garden in the United States. Particularly in the summer, when the paths are shady and the landscape is breathtakingly green, there is no better place to enjoy an afternoon in the city. And there is no better way to enjoy the Garden than taking a ride on the Swan Boats. "The Swan Boats are one of the symbols of the city for visitors," explains Lyn Paget, fourth-generation manager of the Swan Boats. "They're featured in lots of famous photographs and artwork, they're in Make Way for Duckings--walking through the Garden and seeing the Swan Boats is a great experience for visitors." 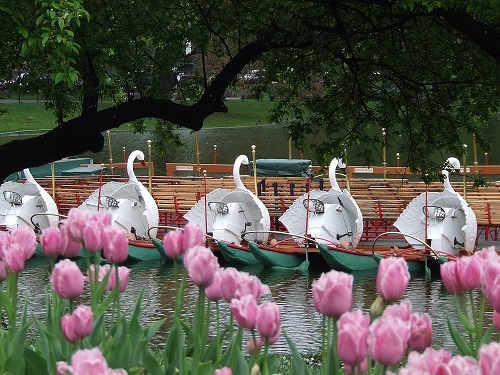 The long history of the Swan Boats dates back to 1870 when Robert Paget was granted a license to operate a rowboat-for-hire on the lagoon in the Garden. In 1877, Paget began to operate a type of paddle boat called a catamaran. The swan, which was added to the boat as a way of covering the captain, was based on a scene from the German opera, Lohengrin, in which the eponymous protagonist crosses a river in a boat drawn by a swan. The Paget family has operated the Swan Boats ever since. "The unique part about the Swan Boats is that they have essentially stayed the same for 141 years. The experience that a person is having today is the same experience that their parents had and that their grandparents and great-grandparents had. That's getting rarer and rarer as the world evolves." 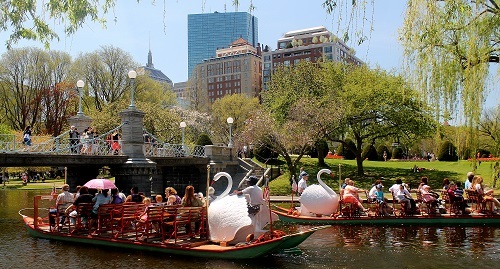 The Swan Boats offer visitors and locals alike the chance to take a break from hectic city life and take in the stunning scenery of the Public Garden. "People don't realize how transformative a ride can be," Paget explains. "We don't allow people to talk on their cell phones, so they are forced to have that experience. It forces this affection between people who come together--the sounds are very peaceful, and people are surprised at just how transformative and relaxing it is. It's an oasis in the middle of the city." The history of the Swan Boats has also been retained in the boats' design, which today is still nearly identical to Robert Paget's original catamarans. "They're paddle boats that are operated just like you would a bicycle," Paget explains. "Learning how to peddle is not that difficult--actually, it's being able to navigate that is the more complex part because it's essentially a pontoon boat that is sitting on top of the water. With the hot and humid days we get in July and August, it can be very demanding work--most of our operators are students who are involved in sports or other athletic activities." 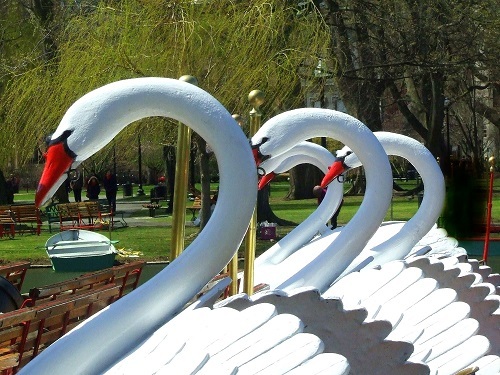 Ultimately, the Swan Boats is an iconic institution that offers visitors a no-fuss way to experience Boston in an incredibly unique way. "I've been involved with this business for my entire life, and I'm still amazed by the happiness that it brings to people," Paget says. "It's a small slice of their day mixed in with a lot of chaotic moments, but when they get on the boat and come back after that short ride, they look visibly different. I never get tired of seeing that happen."